Though most rhinoplasty patients require at least a little bit of surgery to get the nose they want, not every patient is the same. Some noses only need a minor adjustment in order to look their best. So how can you get a nose job without having surgery? The truth is that rhinoplasty doesn’t automatically mean surgery. Rhinoplasty is a term for reshaping the nose, which applies to any method used to do so, including non-surgical rhinoplasty. Non-surgical rhinoplasty is an excellent option for patients who want to fix their nose without making any major changes. Non-surgical rhinoplasty is different from surgical rhinoplasty in that it doesn’t change anything about the underlying structure to the nose. The procedure is purely cosmetic and involves using dermal fillers to change the external soft tissue. What Kind of Fillers are Used in Non-Surgical Rhinoplasty? There are several different options available, but the most commonly used fillers are Juvederm, Radiesse, Restylene, and Sculptra. These fillers are used often in facial cosmetic procedures to combat signs of aging in a person’s face or to restore volume in different areas. They are applied to the nose with careful injections and then are molded to create the right shape. What Kind of Fixes Can Be Accomplished with Non-Surgical Rhinoplasty? Most of the time, this procedure is used to correct minor bumps or dents in the nasal bridge. Sometimes those imperfections can make a person’s nose look larger or crooked. By filling in the dents or raising the nasal bridge a little bit, the nose can be smoothed out so that it looks straight and normal. Since non-surgical rhinoplasty is by definition lacking in surgery, there are limitations to what it can accomplish. However, the fillers can be used to boost a surgical rhinoplasty or to make little corrections after procedure is over so that you don’t have to go through additional surgery on your nose again. Since you aren’t having surgery, you don’t have to recover from a surgical procedure. This saves you time and especially money. Non-surgical rhinoplasty can also be used to have a surgical rhinoplasty “test drive” if you are interested in seeing how your nose will look from a traditional procedure. The fillers used in non-surgical rhinoplasty can also be removed and replaced as necessary to achieve the desired results. Dermal fillers and their results are not permanent, so they will have to be reapplied about once a year to maintain the look of your nose. Fillers also increase the size of your nose because you are adding more material to it, so if you are looking to decrease the size of your nose, this procedure is definitely not for you. And, like we said before, non-surgical rhinoplasty is limited in what it can do. If your nose needs some serious work to change its external appearance or its internal structure, you’re better off with a surgical rhinoplasty. How Do I Look Into Non-Surgical Rhinoplasty for Myself? It’s important to choose a doctor who has experience with rhinoplasty and dermal fillers. Non-surgical rhinoplasty isn’t as complicated as other procedures, but it can lead to terrible or harmful results if it is not done properly. Reshaping the nose requires understanding facial harmony and what kind of nose will look the best for the patient’s face. Finding out if non-surgical rhinoplasty is your best choice is simple enough – just schedule a consultation with a surgeon. They will evaluate your nose and talk with you about how you want your nose to look and the best way of reaching that goal. Dr. Daniel Shapiro has been a plastic surgeon for almost two decades and regularly performs non-surgical rhinoplasty at his practice in Scottsdale, AZ. 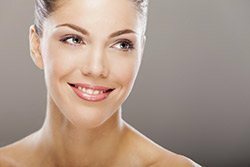 Along with surgical rhinoplasty and dermal fillers, Dr. Shapiro also offers a wide variety of surgical and non-surgical procedures for the face, neck, and body. To schedule a patient consultation, call (480) 451-1700.